A carnival or fair(e) is a great place for photography, especially as the sun is setting and into the evening. 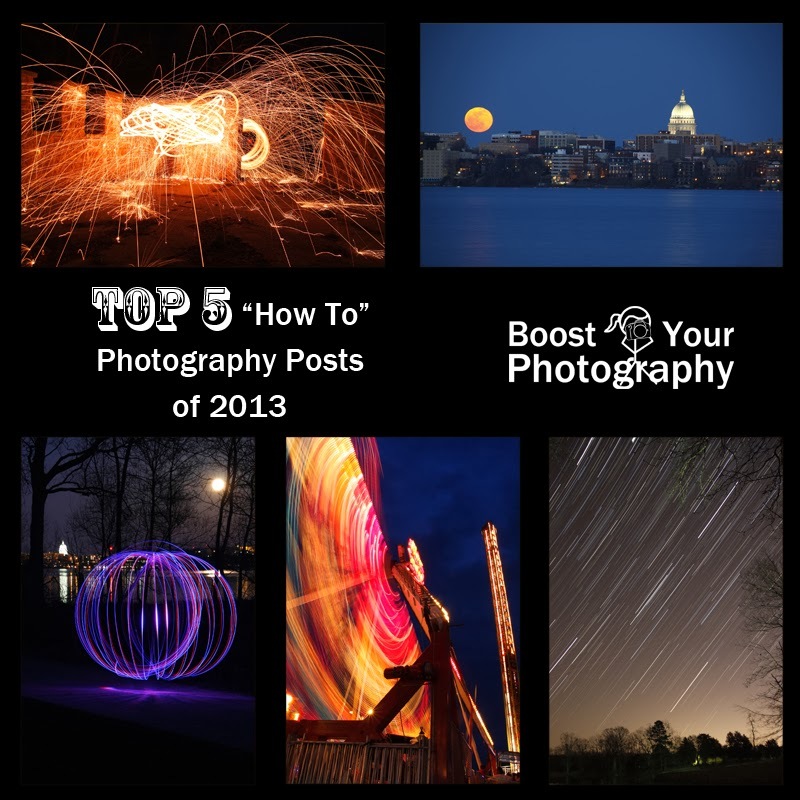 This post on Long Exposure Photography at the Fair(e) covers the supplies and camera settings you will need to capture stunning long exposure pictures of all the lights and rides. Great fun for the next carnival or fair(e) that comes your way! 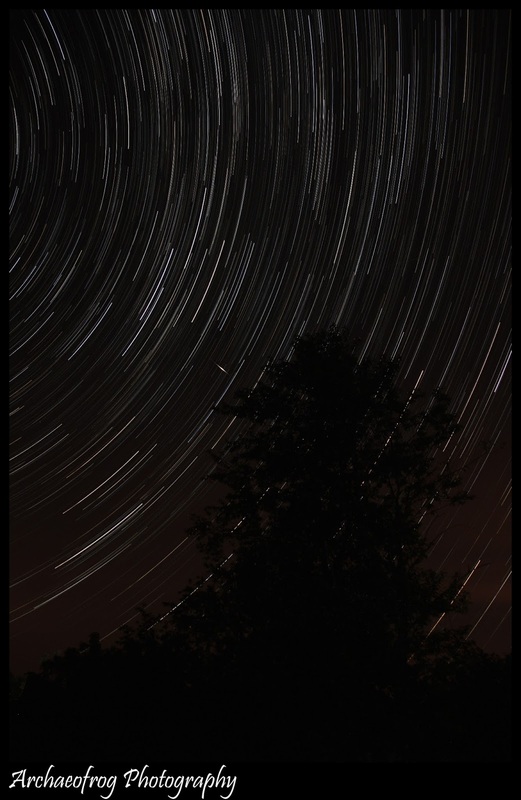 Long, swirling star trails shots are on the Bucket Lists of many photographers. This post, Stacking Photographs: Beyond Star Trails, provides both an overview of using stacking for star trail photography and some suggestions for how to apply this strategy to other photography situations and subjects. 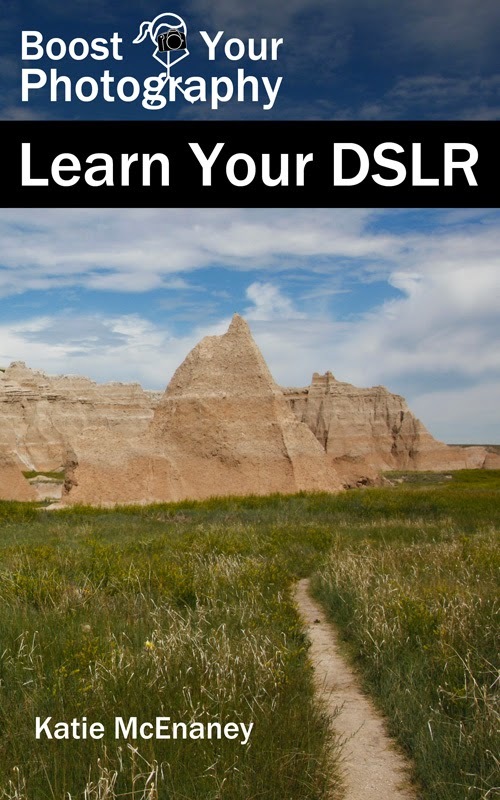 While stacking photographs requires software, this article provides links and information about free programs that are available and do an excellent job. Want to capture an ideal shot of the full moon rising over a famous or local landmark? Find out how in this post on how to Shoot the Moon with the Photographers' Ephemeris. The Ephemeris is a free download (on computers, the mobile apps cost money) that will allow you to plot and plan your perfect moon rise, moon set, or even sunrise and sunset shots. 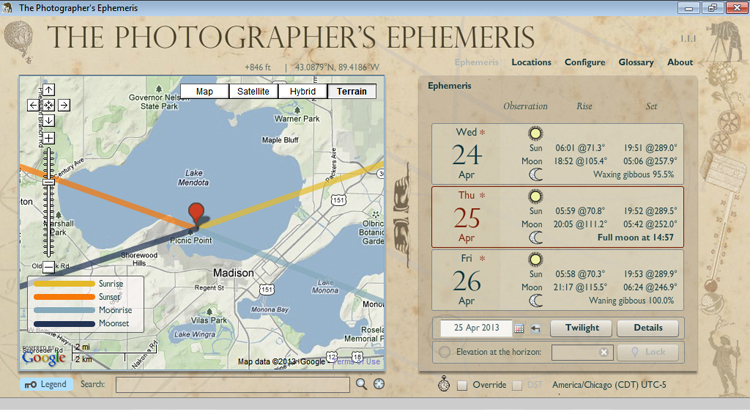 This post will show you how best to use the Ephemeris to capture those elusive moon shots you have been after! Mastering how to spin an orb is another photography Bucket List item and one that is easier to achieve than you may have realized. 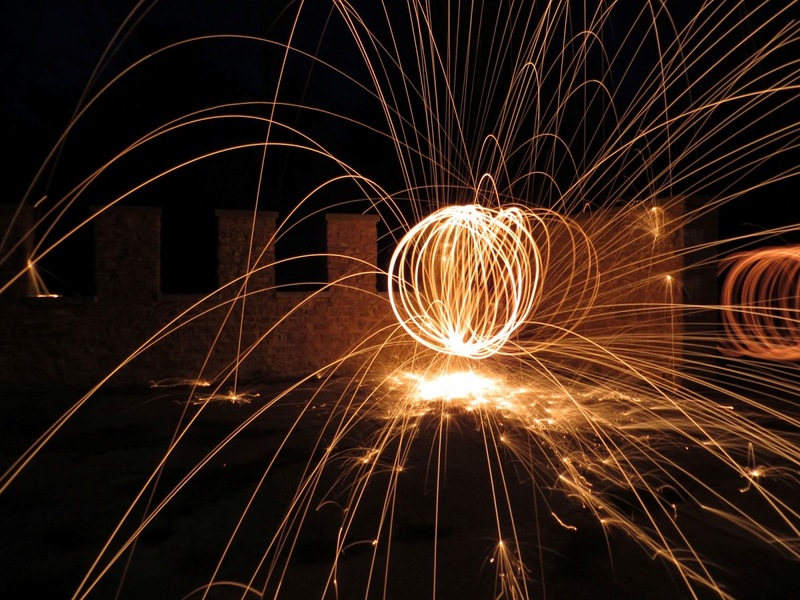 This post, Light Painting: How to Spin an Orb, lays out the basic supplies you will need, as well as a thorough overview of the settings for your camera and the techniques behind spinning that will give you perfect orbs every time. 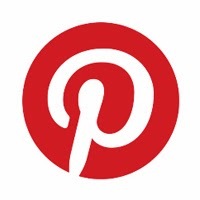 Truly addictive photography fun!